These monkey socks are not exactly the same as the wool rag socks traditional used to make sock monkeys—but they are close enough that yesterday everyone recognized that I was making monkey socks. 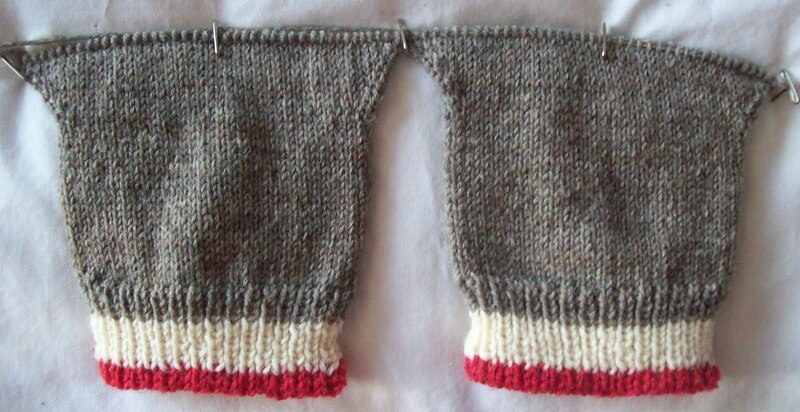 First off—the yarn is wrong—and quite obviously, the cuff and leg portion of the sock is significantly shorter. I don't have enough of the flax yarn to make a pair of very tall socks (and truthfully, I don't like too tall a sock-- better a slightly short one!) The real productive part of my sock knitting came after having taught my self a process for starting/working 2 pairs at a time on 2 circular needles. Previous to that, a pair was never quite a pair—by that I mean a pair was almost never a matching pair, and while sock 1 was whipped out in NY minute, sock 2 often didn't appear for a year or two! This version (as you can see above) has two small triangular wings—part 1 of a small side gussets to provide ease for the heel and instep fit. What you don't see is the row of provisional yarn for the heel placement—making them not quite afterthought heels. There will be a part 2 to the gusset as I decrease on the foot portion of the sock. This style of gusset doesn't actually make the heel and bigger (deeper) but it does make the socks fit so much better--I am practiced at picking up an extra stitch or 3—when I pick up the heels, its amazing how just 3 or 4 extra rows in add to the fit, too. 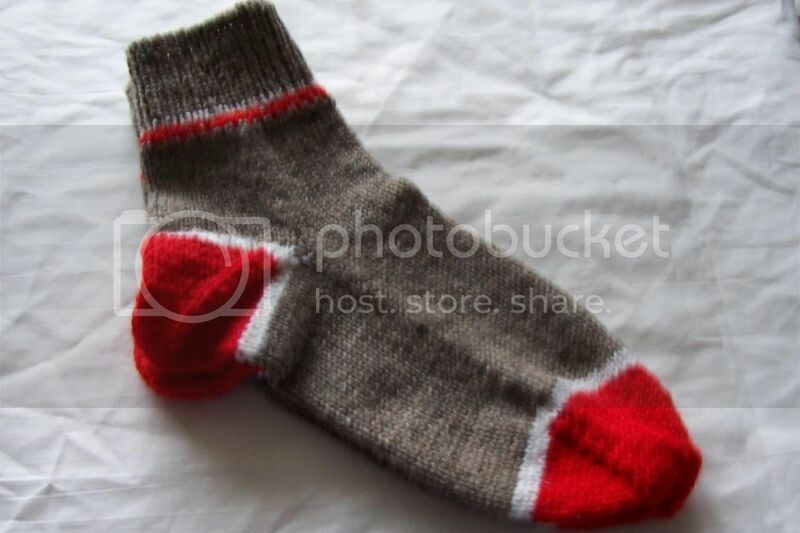 I don't want to make a sock monkey, but monkey colored socks look like fun!